Here is the trailer from the upcoming film ROMA. The film is directed by Alfonso Cuarón, starring Yalitza Aparicio, Marina de Tavira, Diego Cortina Autrey. 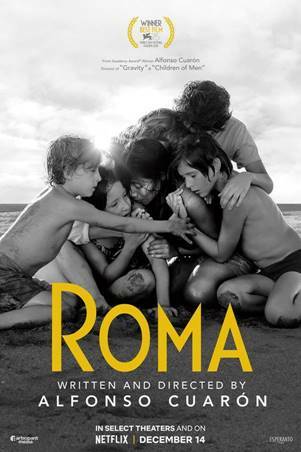 ROMA will have exclusive limited theatrical engagements starting November 21 in Los Angeles, New York and Mexico. Additional engagements in U.S. cities, Toronto and London will begin November 29 with other top U.S. markets and international territories continuing to roll out beginning December 5. The film will be released globally on Netflix on December 14 with an expanded theatrical release in the U.S. and international markets. In total, the film will be theatrically released in over 30 countries globally with 70mm presentations also being planned during the film’s theatrical release.